Before You Buy, Compare Our Prices! We Are Here After Your Purchase!!! 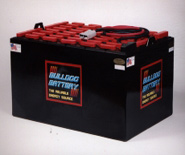 At SOUTHERN CALIFORNIA BATTERY, we specialize in new and reconditioned forklift batteries, battery chargers & battery handling equipment. Our philosophy is to provide our customers with the highest quality new industrial batteries and battery chargers at the lowest prices in the industry!!! In today's economy it is essential to get the most out of every dollar. So we provide you with a five (5) year manufacturer warranty on our new forklift batteries (18 month warranty on 5 & 7 plate batteries)!!! Shipping is free for new battery & battery charger purchases, plus we service the entire United States with very easy payment options. Since there are hundreds of battery sizes, we urge you to call us at anytime for a quick and professional quote while you wait.